OT Swizcake - nice template for creating an online store on Joomla 2.5x up by renowned team of web developers from OmegaTheme. The distinctive features of this template are the nice design, light colors and high-quality drawing all elements. For the implementation of electronic component purchases meets Virtuemart. Thanks to the functionality of the component, implement the sale of goods on the site will be easier. Layout designed using OMG Responsive Framework - a modern framework that will give your website not only adaptability under all devices, but also provide a complete optimization of the entire site, an excellent cross-browser (work correctly in modern browsers), and increase the speed of loading web pages. Developers do not forget about the K2 - a component that increases the main opportunities and facilitate the work of the materials in your online store. 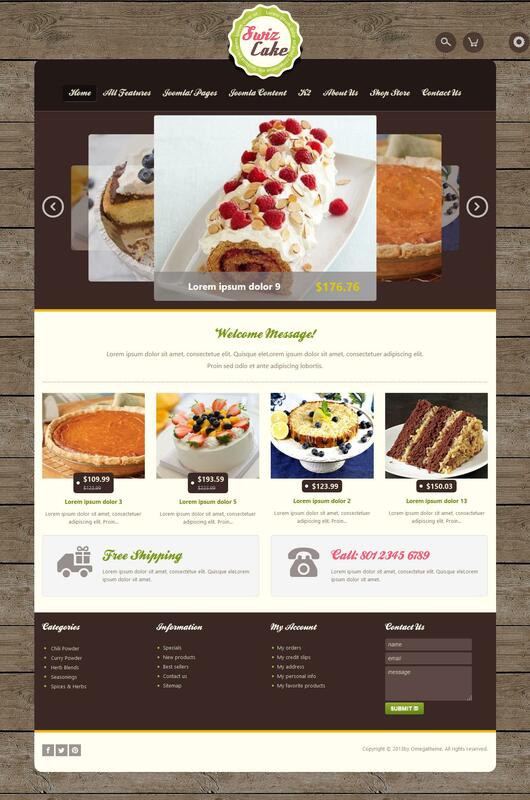 With template OT Swizcake you can create a store of any complexity and structure.